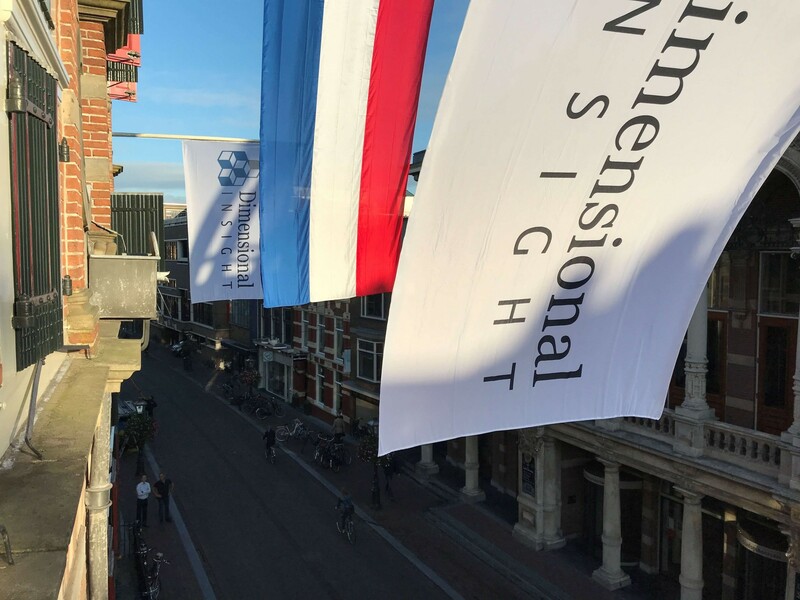 On Thursday 27 September Dimensional Insight Europe in Leiden, Netherlands, held their annual user group meeting in the Trianon cinema, a renovated cinema dating from the 1920s. 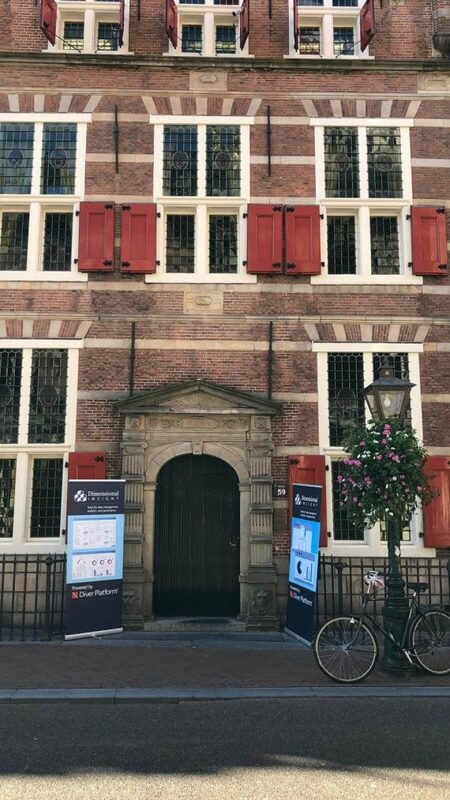 This was a first for them, though no stranger to beautiful workplace settings as the DI offices are housed in a listed building dating from the 16th Century, the oldest water management building in the Netherlands! 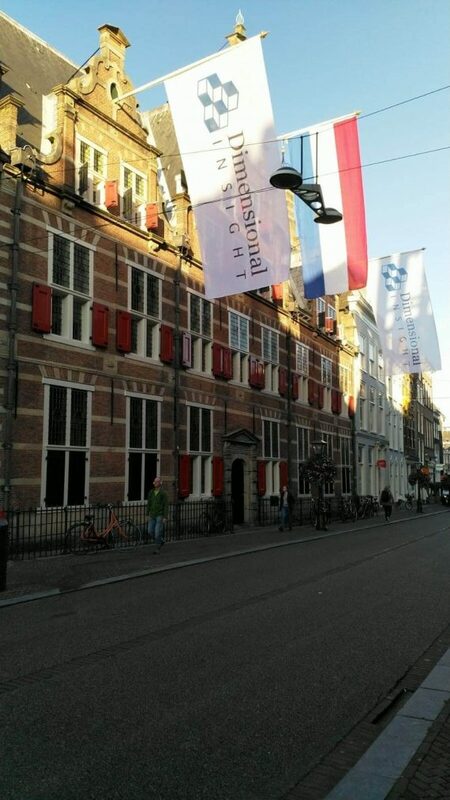 If you’re interested in its history you can read more about the Gemeenlandshuis van Rijnland here. The morning program covered for a wide audience, including an overview of the latest product and market developments. 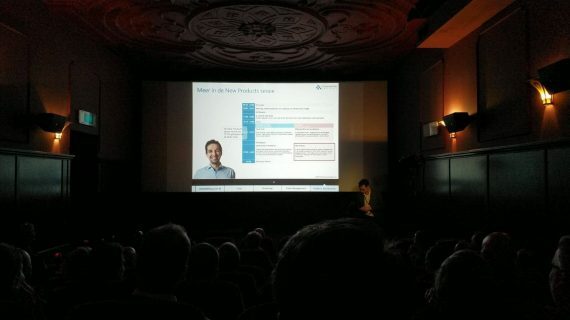 In addition, with the theme of data privacy high on the agenda, various organizations – in cinema format – demonstrated how they have their data under control with the help of Diver Platform. We were very impressed by the sight of the Dimensional Insight flags positioned on the office building – the Gemeenlandshuis van Rijnland, so we thought we’d share them with you!